Die Suche nach einem gebrauchten VFP-500 ? we manufacture all type of power presses i.e. 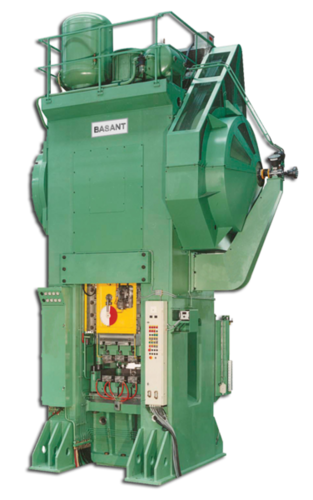 pillar type (marshal type), inclinable type (american type ) and heavy duty crank less presses up to 1000 tons with pneumatic clutch and die cushion . we manufacture these power presses out of good quality cast iron as well as fabricate them depending upon the choice of our clients. our power presses have provided to be of great use for cutting, blanking, piercing, drawing and trimming purposes etc. Mit Blick auf einen neuen Kauf BASANT VFP-500 ?